The Skye Hideaway is something very special, and we hope you will think so too. 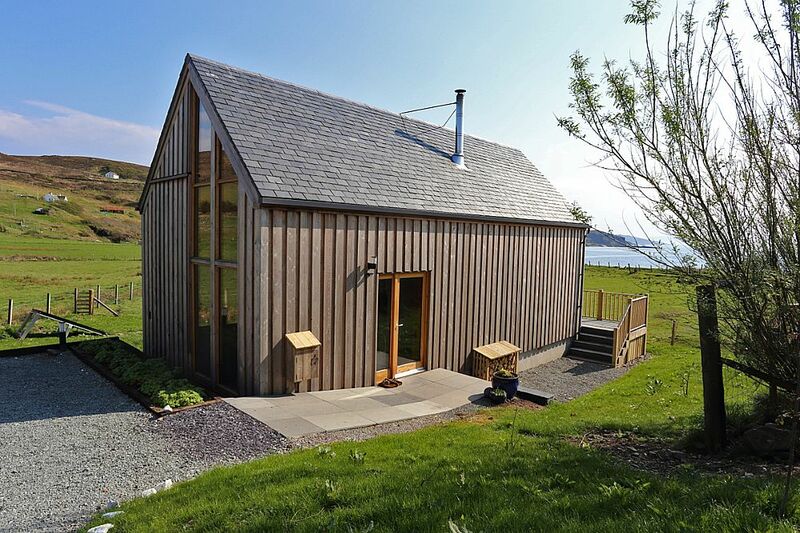 Open to guests at the start of 2014 the Hideaway is a unique building, tucked into the crofting township of Tarskavaig, on the south end of Skye. A romantic retreat, almost miles from anywhere, and a million miles from the hustle and bustle of daily life. Set amongst stunning scenery the Hideaway offers the best facilities for couples looking for a memorable self-catering experience. All finishings are to the highest standards, with hand-made touches adding to the ambiance. Leave footprints on the beach, take home memories, feel relaxed and refreshed and know that you are somewhere very special. Welcome to the Hideaway on Skye, solitude without isolation, comfort with style.